Air Asia is the world’s largest and best low-cost carrier (They have won awards for the last 10 years). Air Asia X, their low-cost long haul carrier has built a route network spanning from the middle east to southern Australia. But many people in the US have never had a chance to fly on Air Asia, as the name would imply, have only ever been centered around South East Asia. An Air Asia X A330-300 sits on the tarmac. Could Air Asia X routes from Japan to the US West Coast work? In a massive new rumor, Air Asia might be starting direct routes between Japan and the US West Coast onboard their fleet of brand new Airbus A330-900 aircraft. As none of the 66 new aircraft on order have been delivered yet, Air Asia X has been reluctant to place address the theory. They are however one of the first airlines to order the aircraft, and as deliveries have begun, we expect news sometime this year. Previously, the current fleet of older A330-300s has only been able to reach as far as Hawaii from Osaka, Japan (their range is 6,350 nmi (11,750 km)), limited by their ability to cross the Pacific ocean. But these new A330neo aircraft, with a range of 7,200nmi (13,334km), allow Air Asia X to reach destinations like Los Angeles and San Fransisco. This opens up a huge potential market for the company, and on the flip side, a cheap (and good) way for American’s to access Japan, and through transfer, South East Asia. The two new routes from Japan across the ocean. What is the service like on Air Asia X? Whilst there has been no information yet on the fit out of the new Airbus A330-900 aircraft, we can hazard a guess based on their current A330-300 jets. There are three classes on board, a ‘premium’ business light class, a quiet zone and a normal economy class. There are also exit row seats scatted throughout. The business class features “flat beds” (They do not go entirely 90 degrees flat, but are more around 70-80 degrees), as well as included entertainment (via tablet), baggage allowance and food and beverages. They have around 60 inches of pitch and are 20 inches wide. There is every possibility that AirAsia will upgrade the seat truly lie flat in their newer aircraft. The quiet zone on board is a section of economy row seats at the front of the economy section that only allows adults and forbids loud noise. The economy section is laid out in a 3 by 2 by 3 configuration. Naturally, as it is a low-cost carrier, passengers will need to budget for seat selection, baggage, food and bring their own entertainment. The economy seats have 32 inches of pitch and are 16 1/2 inches wide. The real win, however, is the cost. Typically you would be looking at around $1000 USD return in economy to fly from Los Angeles to Osaka. 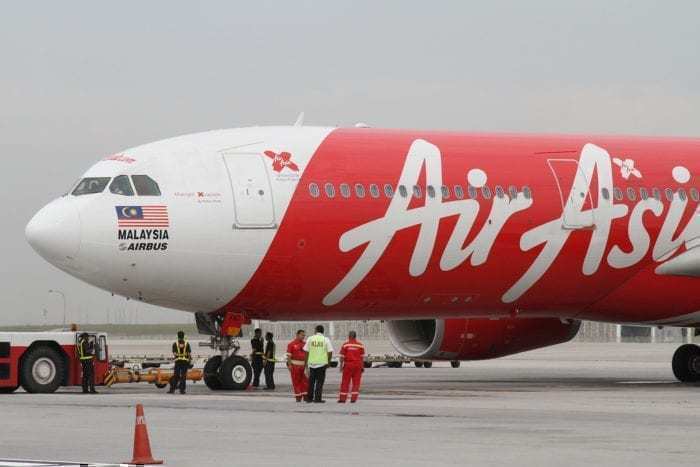 Air Asia typically offers premium business for the cost of an economy ticket (which is well worth the upgrade) and economy for dirt cheap prices (through economies of scale). It is very likely that Air Asia will instantly undercut the market on these routes and be the cheapest to fly. What do you think, are you excited to fly on the new AirAsia X A330neo?